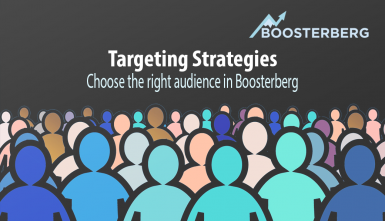 The whole point of Boosterberg is rooted in the fact, that Facebook algorithm knows best, how much money to spend to maximize effectiveness. This means that organic results are the best way to determine, which posts are worth boosting. 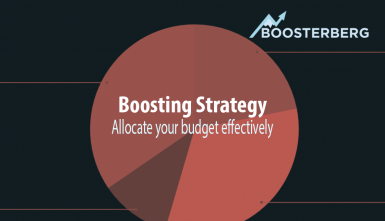 However, some companies need a little more control over their budget, than just one overall monthly spend amount. In this text, we will describe how to create multiple layers of ad sets with separate budgets. Let’s say your objective is brand awareness, so the post performance variable that you can work with is reach. 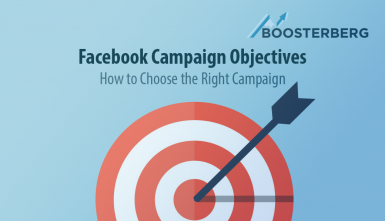 First, you create one ad set that boosts all posts that get to a certain level of organic reach (for example, you can set up the organic reach cut-off point so that approximately half of your posts are boosted inside this first ad set). Let’s give this ad set half of your monthly budget for post boosting. Starting condition for the first Ad Set. What to do with the second half? We want to reserve that just for the best performing posts, the cream of the crop of your page. Let’s have a look at your page post stats again and look, what is the reach cut-off point for these posts. When we find it, insert this number into the stop conditions (don’t forget to change organic reach to total reach, otherwise the handover will not be smooth). Then, you simply create another ad set with the second half of your budget, and set just the start condition to the same number as you set for stop condition in the first ad set. Also, in this case, make sure that the value is in total reach, otherwise the handover might not work at all. Now, we have created a simple campaign that uses such “handover” ad sets for more transparency in your budget allocation, which can also be helpful in benchmarking the quality of your posts.